​New Covenant—To Be Made With Jews. Question (1973)—In Jer. 31:31-34 we read: “Behold, the days come, saith the Lord, that I will make a new covenant with the house of Israel, and with the house of Judah: . . . this shall be the covenant that I will make with the house of Israel; After those days, saith the Lord, I will put my law in their inward parts, and write it in their hearts; and will be their God, and they shall be my people. And they shall teach no more every man his neighbour, and every man his brother, saying, Know the Lord: for they shall all know me, from the least of them unto the greatest of them, saith the Lord: for I will forgive their iniquity, and I will remember their sin no more.” Has the New Covenant been made as yet, as some Christians claim, or is this future? New Covenant—For Other Nations Also. Question (1973)—Some Jews claim that “this new covenant is to be with the House of Israel, not with a specific person or any other nation.” Is this correct? New Covenant—Law To Be Inscribed In The Hearts. 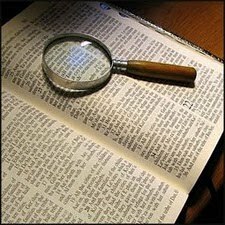 Question (1973)—Does God’s writing His law in their hearts mean that under the New Covenant “the old laws will not have to be taught and will be known by birth by all Jews,” as some Jews claim? Noah’s—Flood, Was It World—Wide Or Local. Question (1969)—Did Noah’s Flood come upon the earth as a whole, or was it confined to one relatively small area? Answer.—Scientific facts show that a sudden flood of waters came upon the earth as a whole. Science has demonstrated the correctness of the Valian theory, viz., that various canopies or rings, somewhat similar to the rings that still surround the planet Saturn, surrounded the earth in its formative stage, and were precipitated upon it one after another over long periods of time, the final one being a canopy of water. This is in harmony with the Bible, which mentions God’s separating of the waters on the earth from those above the earth by the expanse (Gen. 1:7; the King James translation is faulty here in using the word “firmament”; the Heb. word rakia means expanse—see Rotherham, Leeser; comp. Creation, pp. 362-366). Our present atmosphere occupies the place of the expanse. Apparently at one time there were seven canopies or rings around the earth, held off by the heat of the primeval earth at varying distances, dependent on their density. Each of these fell to the earth at the end of its age-day, or epoch; and these successively formed the strata of the earth on top of the original igneous mass now represented in the granite formed from the molten mass, when all its carbon was burned out. These seven strata are very plainly seen in the immense layers in the Grand Canyon of the Colorado River, the soil forming the seventh layer, which by accommodation we here call a stratum. The last of these canopies was of pure water (the heavier minerals, etc., being in the various lower canopies according to their varying weights) and fell to the earth in the Great Deluge. Prior to the time of the Flood, with the water canopy still surrounding it, the earth was like a huge hot-house with evenness of temperature everywhere, making the climate at the Poles the same as that at the Equator, with the same kind of vegetation found at the poles as at the Equator. How do we know this? Because huge mammoths, elephants, antelopes, etc., have been found in frozen Siberia embedded in the fields of ice—glaciers—with undigested grass in their stomachs. These while grazing in the far North were evidently overwhelmed suddenly by the Flood’s descending waters, which rushed in at the Poles and then quickly froze. The resultant ice or glaciers held them for millenniums in their secure embrace until lately they were discovered and have given us factual proof of the Flood’s reality and that it was worldwide. Additionally, we might note that glacial scratches on rocks are found also in the Western Hemisphere. Many have been found in the temperate zone of the North American continent—and the scratches on fixed rocks always run north and south, never east and west. Skeletons of antediluvian animals have been discovered also on the North American continent. A few years ago the Editor was privileged to assist in exhuming the skeleton of a mastodon found buried at the edge of a mesa in Oklahoma. In the Petrified Forest of Arizona its many giant trees buried to a depth of 200 feet are found to lie from north to south (not east and west), and the roots of the trees are to the north with the tops to the south, thus indicating that they were swept by an onrush of water coming from the north. This further corroborative evidence that the sudden downpour of water at the time of the Flood—the sudden breaking of the envelope which held the warmth of the earth and sun equably—produced the great ice-fields and ice-mountains of the arctic regions and the flood of waters as they swept the Poles toward the Equator, for the precipitation would, of course, be less at the Equator, due to the centrifugal force of the rotating earth, whereas this force holding off the waters would gradually lesson from the Equator to the Poles, and the precipitation would be greatest at the Poles, the ice and waters thus moving from the Poles toward the Equator. Evidently the cradle of the race was specially dealt with by first depressing and then at the proper time elevating it. Apparently the Ark floated in a comparatively quiet eddy, aside from the general rush of the waters; this is indicated by the exceedingly heavy alluvial deposit declared to be present in all that region. Noah—Did Noah Take The Animals Into The Ark by Two Or By Seven (Gen. 6:19, 20; Comp. 7:2, 3). Question (1969)—How do we harmonize Gen. 6:19, 20, where God instructed Noah that “of every living thing” he was to take “two of every sort” into the Ark, with Gen. 7:2, 3, where God instructed him to take of every clean beast and of fowls by sevens, to keep seed alive upon the face of all the earth? Answer.—Some have thought that there is a contradiction in these two sets of instructions, but there really is not. There should be no difficulty if we recognize that in the first instance, perhaps some 120 years before the Flood came, God gave to Noah some general directions concerning it (Gen. 6:3, 14, 17-20), among other things telling him how the animal life would be preserved and survive amid it: two of every species, male and female, were to be taken into the Ark, to keep them alive. This is the way that God commanded it and this is the way that it was done, for even of the clean animals it was true that they went into the Ark “two by two” (the animals were admitted by pairs without regard to the number of heads), “the male and the female, as God had commanded Noah” (7:9). This was true both “of clean beasts, and of beasts that are not clean, and of fowls” (7:8). Noah’s—Motive In Preparing The Ark. Question (1969)—How can Noah be a type of Jesus, seeing that Noah was “moved by fear” in preparing the Ark (Heb. 11:7)? Question (1969)—Since Jesus is “the way, the truth, and the life” (John 14:6), and “neither is there salvation in any other: for there is none other name under heaven given among men, whereby we must saved” (Acts 4:12), and since Noah had never heard of “our Savior Jesus Christ, who hath abolished death, and hath brought life and immortality to light through the gospel” (2 Tim. 1:10), is Noah saved? Was he a Christian? Where is Noah today? Answer.—Noah was not a Christian, a disciple or follower in the footsteps of Christ (Matt. 16:24), for he lived before Jesus’ day. “The law and the prophets were until John [the Baptist]: since that time the kingdom of God is preached, and every man presseth into it” (Luke 16:16). No one could press into it prior to the time of our Lord’s First Advent, when He opened up the “new and living way . . . consecrated for us [His Church], through the veil, that is to say, his flesh” (Heb. 10:20). Noah is not saved yet; however, like Abraham, he “believed God, and it [his faith] was imputed unto him for righteousness: and he was called the Friend of God” (James 2:23; Rom. 4:9, 22). Thus God could deal with Noah anticipatorily on the basis of the blood of Christ, which would in the future be shed as a ransom-price for Adam and all his race, including Noah. Noah is one of the Ancient Worthies, whom the Apostle Paul describes in Heb. 11, and of whom he writes in vs. 39, 40: “And these all [including Noah, v. 7], having obtained a good report through faith, received not the promise: God having provided some better thing for us [the Church], that they without us should not be made perfect.” During the Gospel Age God has been raising up the Church—“a people for His name” (Acts 15:14), the Seed of Abraham (Gal. 3:8, 16, 29) for the blessing of all the families of the earth. When God has fully selected and perfected His Gospel-Age elect, then He, having overthrown Satan’s empire—this present evil world—in the great Time of Trouble with which this Age closes, will set up His Kingdom on earth (for which we pray, “Thy kingdom come. Thy will be done in earth, as it is in heaven”); and Jesus, who by the grace of God tasted death for every man (Heb. 2:9), will awaken from the sleep of death all who are in the graves (John 5:28, 29—Noah, one of those who “have done good” will come forth in this resurrection awakening “to the resurrection of life”); and Jesus will then “draw all men” unto Him (including Noah; 1 John 12:32; during the Gospel Age, wherein God has been selecting the Bride, the Lamb’s Wife, God not Jesus, does the drawing—John 6:44). Noah will then, during the world’s Judgment Day, receive the light and learn of Jesus as his Savior, for God “hath appointed a day [a thousand-year day—2 Pet. 3:7, 8], in the which he will judge the world [as distinct from the Church, which is judged during the Gospel Age—1 Pet. 4:17] in righteousness by that man [the man Christ Jesus—1 Tim. 2:3-6] whom he hath ordained” (Acts 17:31); and Jesus is “that true Light, which lighteth every man [including Noah] that cometh into the world” (John 1:9). Question (1970)—What do the eight souls saved in Noah’s Ark represent from the Gospel-Age standpoint? Answer.—They represent those who are vitalizedly preserved safe throughout the antitypical flood—the Adamic death-curse. These are the ones who are “passed from death unto life” during the Gospel Age (John 5:24; 1 John 3:14). As antitypical Priests and Levites they are God’s Gospel-Age elect, His chosen ones, to bring blessings to the non-elect world of mankind during the Millennial Age. They are primarily the Christ Class: Jesus the Head and “the Church, which is His Body” (Eph. 1:22, 23), and secondarily the Great Company, or Great Multitude, described in Rev. 7:9-17. The Tabernacle in the Wilderness will help us to understand the antitypes of the four couples saved in Noah’s Ark. Aaron, the high priest, types Jesus, the “High Priest of our profession” (Heb. 3:1; 4:14, 15; 2:17); and Aaron’s sons, the underpriesthood, type the Royal Priesthood, the 144,000 Underpriests (1 Pet. 2:9; Rev. 5:10). Israel’s priesthood encamped “before the tabernacle toward the east” (Num. 3:38); and the Levites as distinct from the priests, as descendants of Levi’s three sons, Gershon, Kohath and Merari (v. 17), encamped respectively to the west, south and north of the Tabernacle (vs. 23, 29, 35). Thus the Levites as distinct from the priests were divided into three groups in their encampment and Levitical service. Accordingly, just as Israel had four groups (one of priests and three of Levites) encamped about the Tabernacle, so during the Gospel Age there have been four groups of God’s saved people, His New Creatures (one of Priests—the Royal Priesthood—and three of antitypical Levites—those who would become the Great Company). These four correspond to the four couples saved in the Ark: (1) Jesus and the Church, His Body, (2) those who would become the Kohathite branch of the Great Company, (3) those who would become the Merarite branch of the Great Company, and (4) those who would become the Gershonite branch of the Great Company of the Great Company. Question (1970)—What do the eight souls saved in Noah’s Ark represent from the Millennial-Age standpoint? Answer.—Here again the four couples represent four classes—one of antitypical Priests and three of antitypical Levites. In The Divine Plan of the Ages, p. 318, Noah’s Ark is said to type “Christ and the power in Him which will replenish and reorganize society.” He and His replenishing and reorganizing power are summarized in the Abrahamic Covenant (Gen. 12:2, 3). It is the embodiment of God’s counsel; its central feature is the Seed of Abraham, The Christ, whose glorious replenishing and reorganizing power is to bless all the nations of the earth (Gal. 3:8, 16, 29). According to the Scriptures there are four elect classes who in this life obtain a good report through faith in the Abrahamic Covenant: (1) The Christ, (2) the Ancient Worthies (described in Heb. 11), (3) the Great Company, and (4) the Youthful Worthies. Abraham’s seed was in its larger sense to be, not only heavenly (“as the stars of the heaven”), but also earthly (“as the sand which is upon the sea shore”); thus there will be two phases, a heavenly and an earthly phase, to God’s Millennial Kingdom on earth, for the blessing of mankind (Gen. 22:15-18). The spiritual phase of the Kingdom will of course be invisible to human eyes; but Jesus told some of the unfaithful Israelites that they would be greatly disappointed “when ye shall see Abraham, and Isaac, and Jacob, and all the prophets, in the kingdom of God, and yourselves thrust out” (Luke 13:28). This refers to the earthly phase of God’s Kingdom, for the Ancient Worthies died before the heavenly calling was opened and the first Spirit-begettals of New Creatures took place at Pentecost. Even John the Baptist is less than the least in the Kingdom of Heaven—the spirit beings in the heavenly phase of God’s Millennial Kingdom (Matt. 11:11; see The Divine Plan of the Ages, pp. 273-306, on “The Kingdom of God”; also our booklet The Kingdom of God—Heavenly and Earthly—a copy free on request). The Scriptures teach not only that the Ancient Worthies are God’s consecrated servants who were faithful unto death before Pentecost, when the first Spirit-begetting of prospective members of Christ's Bride took place, but also that there is another class of faithful servants who consecrate themselves to God and His service in the end of the Gospel Age after Spirit-begetting ceases and no more persons are inducted into membership in the Little Flock (the full number of 144,000 having been completed) but before the end of the time apportioned by God for the selection of this fourth elect class. In harmony with the Bible’s description of this class we call them Youthful Worthies. Just as there are two of the four elect classes—the Little Flock and the Great Company—in the spiritual or heavenly phase of God’s Millennial Kingdom, so there will be two of the four elect classes—the Ancient Worthies and the Youthful Worthies—in the fleshly or earthly phase of God’s Millennial Kingdom. In this Millennial setting, Noah and his wife represent Jesus and His Bride, the Lamb’s Wife (Rev. 19:7). They will regenerate Adam’s sin-cursed race, those who are under the death sentence because of Adam’s transgression (Matt. 19:28; Rom. 5:12, 15-21; 1 Cor. 15:22). Jesus is the Second or Last Adam, and as such the Second or Last Father of the race; and the Church, the Lamb’s wife, is the Second Eve, and as such the Second or Last Mother of the race (Rom. 5:14; 1 Cor. 15:45, 47; Eph. 5:31, 32; 2 Cor. 11:2, 3). Our Lord alone will give the obedient of the world life—His human right to life and its life-rights sacrificed for them. He is their Life-giver, Savior. The Church, the Bride, does not give the world life. As the Second Eve or Mother She will receive this life from the Second Adam and will nourish into fitness for everlasting life all who obey (Rev. 22:17). Those who will not obey “shall be destroyed”—annihilated (Acts 3:23; Psa. 145:20). The Christ, Head and Body—the great Prophet, Priest and King—will have the other three classes of God’s elect—the three classes of antitypical Levites—as Their special assistants in the restitution work of blessing the world of mankind (Num. 3:6-9; Acts 3:19-21). God charged Noah and his wife and their three sons and their wives to be fruitful and multiply, and replenish the earth (Gen. 9:1). We understand that this is a type of God’s arrangement for the four elect classes to regenerate the race in righteousness and life and to fill the new earth in the Millennium (2 Pet. 3:13; Isa. 35; Num. 14:21), and that Noah and his wife type Jesus and His Bride, the Lamb’s Wife; Shem, the Ancient Worthies; Japheth, the Great Company; and Ham, the Youthful Worthies—the three sons representing the leaders of their respective classes, and their wives the rest of these classes. But animals also were saved in the Ark—at least one pair of every clean and unclean kind. We understand these animals to represent the quasi-elect and the non-elect who will ultimately be saved unto eternal life on earth: the clean animals represent the quasi-elect, i.e., the loyal Abrahamic and Mosaic Covenants’ believing and practicing Jews, as typically clean, who will be saved Millennially, and the loyal ransom-believing and justice practicing tentatively justified, as tentatively clean, who will be saved, We understand that the unclean animals represent those of the non-elect who will be saved unto eternal life on earth, and that those perishing in the Flood represent from one viewpoint those who have perished under the Adamic curse, and from another viewpoint the movements and systems of Satan’s empire and the Second Death class—“whose end is destruction” (Phil. 3:19; Psa. 145:20; Heb. 2:14; Ezek. 28:11-19; 2 Thes. 1:7-10; Rev. 21:8). Question (1974)—Have there been any expeditions searching recently for Noah’s Ark on Mt. Ararat?